For our 2014/15 Ski Test and Buyers' Guide, we changed it up a bit this year, dividing the All-Mountain skis into All-Mountain Front (AMF) and All-Mountain Back (AMB). 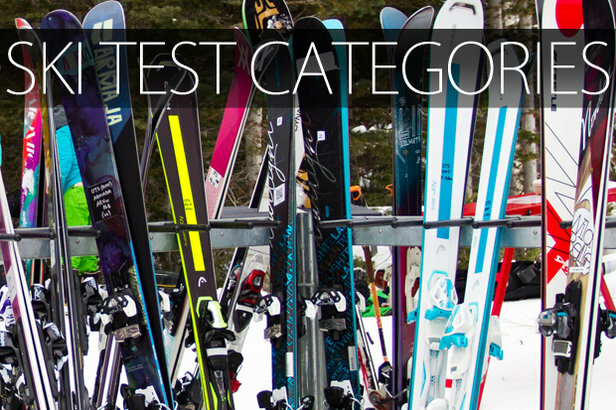 "The category is so large, with such a big range of waist widths that we felt it important to break up the category in to two parts, following the sentiment of many manufacturers," says Krista Crabtree, OnTheSnow Ski Test Director. An All-Mountain Front skier is someone who likes to rip groomers but will occasionally get off-piste into some crud or even pow, dabbling in exploring the mountain; whereas All-Mountain Back fits more of the traditional all-mountain skier profile who wants all terrain, all the time.